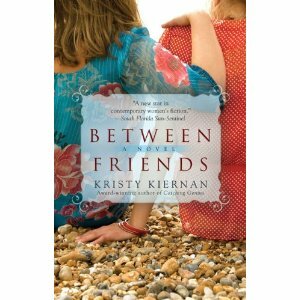 Kiernan (Catching Genius) again demonstrates her ability to portray true-to-life relationships between women. Ali Gutierrez is mother to 15-year-old Letty thanks to the egg donation of her best friend, Cora. Ali wants to have another child, but first has to convince her husband, Benny, and then Cora, to endure the process one more time. Cora, a free-spirit who's just returned to America from a teaching excursion in Chile, has news of her own—she has a debilitating genetic kidney disease, and she's not sure how to break the news to Ali. Meanwhile, Letty's going through growing pains with her bad-news boyfriend, and when poor choices begin endangering her life, it takes all three of her parents—Benny, Ali, and Cora—to try to save her. With realistic dialogue and pinpointed emotions, Kiernan paints a persuasive portrait of the bonds between mothers, daughters, and friends in this inspiring, heartbreaking tale. I've read her novels, CATCHING GENIUS and MATTERS OF FAITH (which won the Florida Book Award Bronze Medal) and highly recommend both to other clubs I've called in to. They are beautifully written, great discussion books. I haven't read BETWEEN FRIENDS, yet. (Didn't I tell you it just came out today? What do you want from me?). But, I did just order it on Amazon. Kristy also enjoys calling in to book clubs, so what's not to like? This page contains a single entry from the blog posted on April 6, 2010 3:43 PM. The previous post in this blog was The Mystery of Passover. The next post in this blog is San Francisco Travel Literature and Lecture Series.